Since it’s getting warmer and sunnier here, people start wearing less clothes and open their hands for more accessories. Spring and summer is a great time to wear different bracelets. This can be a bracelet made from combination of textile, beads and chain, like the one I made last year (see tutorial here). This year stripes are in the list of fashion trends and so is the marine and sailor style. 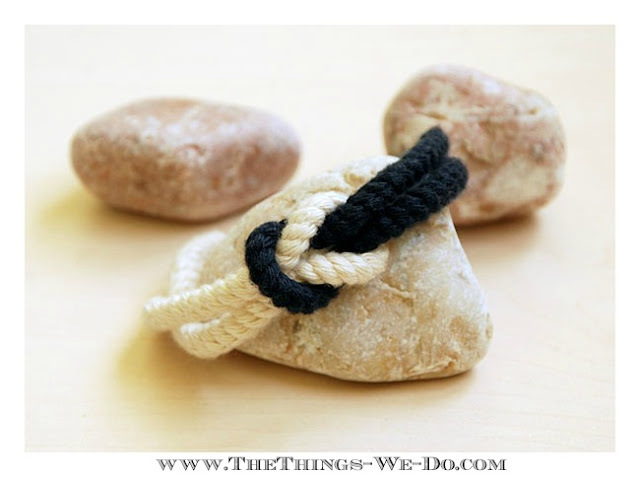 That is why I thought of making some simple bracelets from cotton ropes, that resemble the ship and nautical ropes. After browsing the web for inspiration I have decided to make a Square Knot Bracelet from two cotton ropes of contrasting color (white and navy blue) and a simple Double Wrap Bracelet. Step 1. 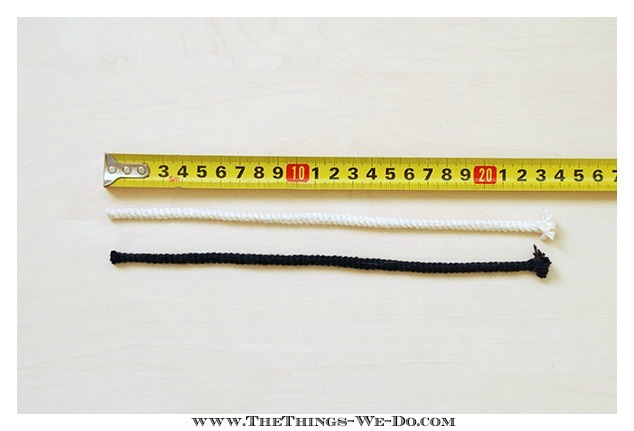 Measure your wrist and cut two ropes of the length you will get. Mine was 9in (23 cm). Step 2. 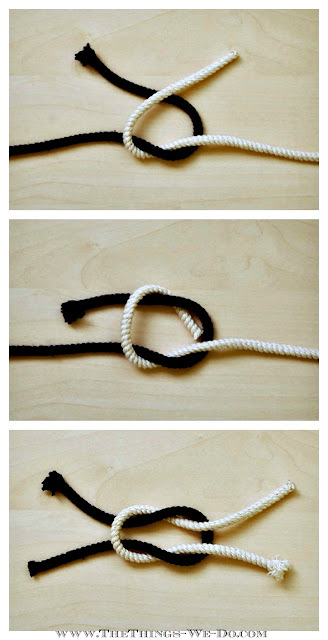 Cross the ropes (white over blue) to form a half knot. Step 4. 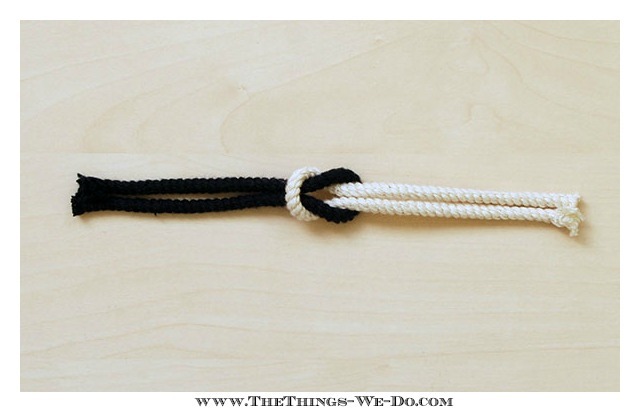 Pull the ends tight to form the Square Knot. Step 5. 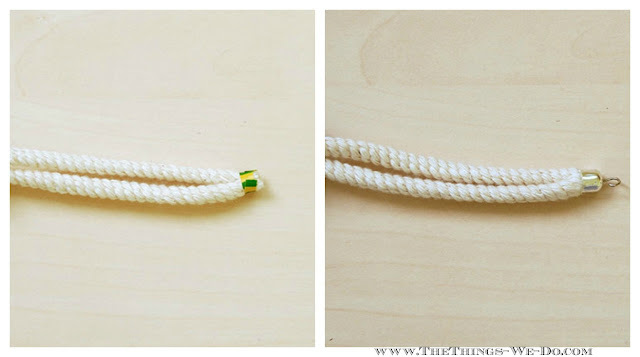 Fix the ends of the rope with thin strap of tape to seal it. Alternatively, you can wind around a thread. Put a drop of glue in the end caps and secure it on the end of the rope, covering the tape. Repeat from another side. Step 6. Attach a clasp to both ends of the bracelet. After you are done – you can wear you bracelet. 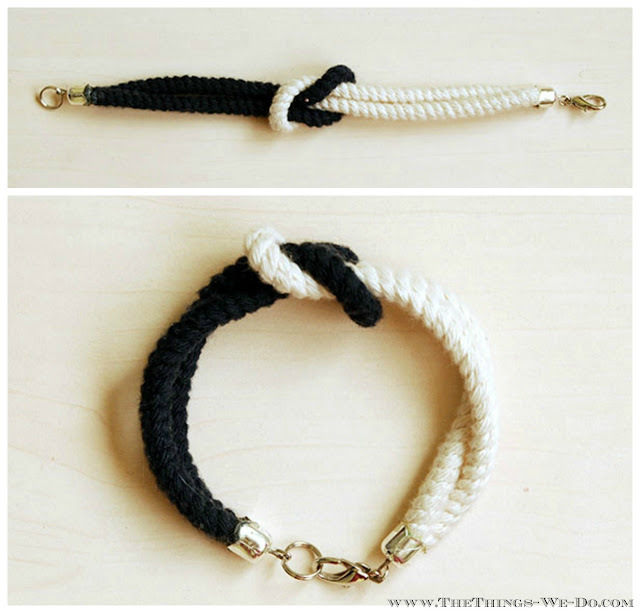 It doesn’t really take much time to make such a bracelet, but it will complement your nautical style look perfectly. These are so cute! 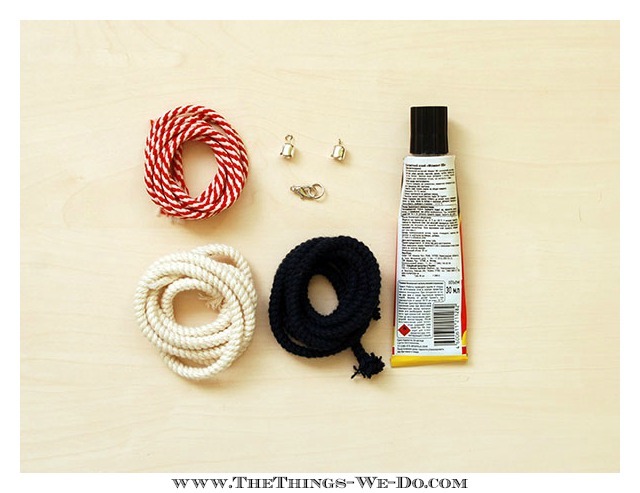 I totally want to do them for a nautical shower I’m throwing. Where did you get the rope you used? Where do you buy the cord to make these bracelets? I love them.